This is a rectangular flange Maremont Springs porcelain sign. This particular Maremont Springs sign is black with white text. 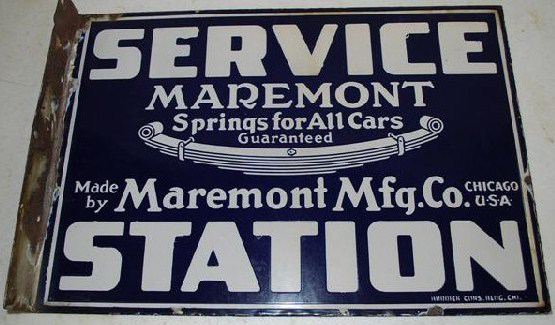 It reads, “Service Station, Maremont Springs for All Cars, Guaranteed, Made By Maremont Mfg. Co., Chicago, U.S.A.” and features a thin white border.